It’s time for our weekly Questions & Answers post! We’re now into the second week of February, and sales on eBay are slowly starting to pick up again after the usual January lull. I’ve also been very busy putting the final parts together for the big Spicy Auction Templates update, so I’m glad to have made enough time for another of our ever popular Q&A posts. Remember the goal this year is to get as close to the magical century mark as possible! Is the shipping cost important for VAT calculations? Is it ok to have an email & phone number in my eBay template? Why should we sell on eBay instead of Amazon? I’ve noticed my suppliers only ever declare the value of the actual items on customs forms, and they never add the shipping cost that I also paid. Will customs calculate VAT based only on this figure or do they check themselves with the courier? Or should I ask my supplier to put the full value on all forms? I’m pretty sure I have underpaid VAT and am now trying to get everything sorted before I become VAT registered. Yes, customs need to know any shipping charges in order to correctly calculate VAT so you should always ask your supplier to put the correct amount on the customs form, or better yet ask them to attach the full commercial invoice. First of all I would like to thank you for all the resources you provide – they’ve been a huge help. My question is – I have put my phone number and email in my listing as part of my customer service. Now I am planning to sell internationally, so is it okay if my contact details are there or is it not allowed when selling outside of the UK? My phone number and email are located at the banner part of my listing, if that makes any difference? When I asked eBay (via live chat) they seemed to not want me to put that info in the listing itself and instead suggested that I put it under “Business seller information”. But I checked your blog and you say it’s allowed (but not on the .com website) and you even encourage doing it. So I am a bit confused on this matter and I hope you can help me with this. Yes, this is 100% allowed IF you sell on eBay.co.uk or ANY other European eBay site for that matter. EU law actually requires sellers to display this information so eBay can’t do anything about it, even though they would prefer that you don’t show your email address in any listings, to avoid any customers possibly being taken away from eBay. And that’s why it’s not allowed on eBay.com, as there are no such laws in the US (as far as I know). But as you’re based in the UK and sell on eBay.co.uk, even if you offer international shipping, it’s perfectly fine to have this contact information right in the header part of your listings. I have recently stumbled upon your network of websites and have found some valuable information that I am extremely grateful for. I can just about imagine how busy you are with many of your projects but none the less I will try and seek some professional advice from you… after all determination is one of my stronger traits in business :-). Having read about you I could really relate to a lot of your life experiences and the journey to where you are now. Honestly it was like déjà vu reading your bio. At the moment I have a boring 9-5 job at Screwfix as a supervisor which I honestly do not see myself doing for the next 10 years. I am 27 years old and have come to the point where I need to change my life for me & my family. My ultimate goal would be to build an eBay store which generates steady profits. I have looked into various different wholesalers and their products and have some startup capital to invest to get things off the ground. 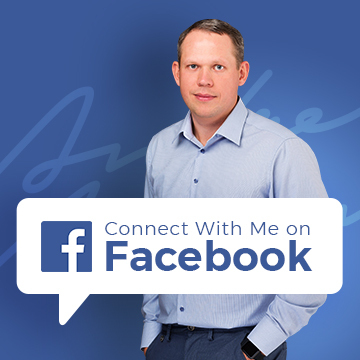 I fully understand nobody makes millions overnight and I am willing to put in the graft to make this work and hopefully contacting you is a step in the right direction. Also what sort of profit margins am I looking to achieve when just starting out as a newbie on the block? How do I differentiate myself from the other eBayers selling the same product slightly cheaper or at the same price as me? I have many questions popping inside my head as you probably did when you first started… but I don’t expect you to answer them of course. I would be grateful if you could point me in the right direction or even reply to this message when you get some free time. It was nice to read your message, as I can really tell how motivated you are to create something worthwhile for you and your family. Honestly that’s half the battle won already! In terms of your many questions, they are all answered on my blog – as well as countless others that won’t even have occurred to you. Now you just need to read through it all! Alternatively, I recommend you check out my EAB video course which will teach you everything you need to know in order to build a successful eBay business, all in a simple step by step manner. I’ve just read your interesting post about changes to the eBay seller rules, so thank you for that. 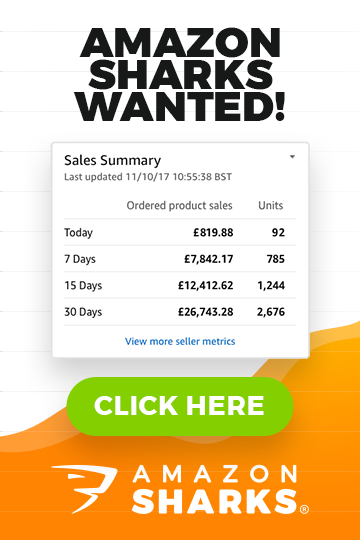 A lot of online selling experts seem to suggest that selling via the Amazon FBA programme is more lucrative than using eBay. Is there any reason why a new seller shouldn’t avoid eBay entirely and instead sell via Amazon, particularly as Amazon buyers are less price sensitive than eBay buyers, as I understand? What I suggest is that you should sell on BOTH platforms, and when you’re at the right point in your business – create your own online shop as well. I believe that all 3 platforms can be used successfully with nearly all products/niches. As for which one is best to start selling on – well the easiest and quickest place to get results and sales is still eBay. You can have a listing up on eBay and make your first sale that same day. On Amazon it won’t happen that quickly, with some products it can take weeks to get those first sales in, especially if you don’t use Amazon’s paid ads. Amazon buyers are less price sensitive compared to eBay, that’s true, and that’s why Amazon is the perfect place for people to sell their OWN BRAND items – high quality products which are fully branded, with EAN codes so you have your own listing for that product and don’t have to compete with others solely on price. For me that’s the biggest problem on Amazon – if you sell something that is already listed there, you won’t get your own listing – instead your offer will be included on the existing product page, sorted by lowest price first which essentially means you have to offer the lowest price to get any decent business in. So each situation is different and while for some products Amazon is a perfect match, for others it may not work at all. FBA is great obviously and it works amazingly when you sell on Amazon, especially to Prime members. But don’t forget that FBA is not a closed system – you can still use it and sell on eBay, your own website or anywhere else you want! And that’s it for today, I hope some of the answers were valuable to you. Remember, all you have to do to get your question featured in our weekly post is send it in via the contact form on this page! I’ll personally get back to you within 24 hours, Mon.-Fri. and the best questions will be published in our next Q&A post. Next week is very important – on 20th February eBay’s new seller standard rules kick in so it will be interesting to see if there are any last minute changes or not, following the huge storm this has created in eBay’s community. On Monday though I want to talk about one specific change coming to eBay UK that could actually once and for all filter out the BEST sellers from the rest! Stay tuned! Re: Amazon and your comment “You can have a listing up on eBay and make your first sale that same day” I would say that’s more true of Amazon than Ebay, especially if your product isn’t branded or unique. For me, on some of my products, the catalogue system of Amazon is actually more beneficial than Ebay – in that you can really get your first sale in the first day, and if your product is right in the first hour of listing it (assuming your account is all up and running obviously). Although Amazon is price sensitive on multi-seller listings, it’s not always down to the lowest price, where your customer service does in fact count for something (i.e. poor metrics means you won’t enjoy the Buy Box). If you factor in FBA, you can even be 10%+ higher and still sell. Sure, I’m generalising things here – it all depends on the product, price etc. Just from my experience, working with so many people, usually eBay sales come in much quicker compared to Amazon. But each situation is different of course. True Andrew. I agree, and I would generally say a new seller should try Ebay first, as Amazon can be fairly scary to start with, and if you stuff your account up, it might be over before you even start!